Hudson Architects was founded in 2002, with an ambition to pursue architecture that combines innovative and exciting design with a keen awareness of context and environmental responsibility. Today, the practice has grown into a talented 21-strong team. Our shared skillset encompasses everything from cutting edge design to historic building conservation. Our ethos: to produce beautiful buildings, ensure quality construction and explore innovative design whilst preserving a strong sense of space. Our portfolio of buildings has grown from one-off houses to include larger scale residential developments, education, cultural, leisure and civic projects. We have been recognised through numerous awards and are proud that our work has been widely published and won critical acclaim. Our portfolio is now full of the new homes we have designed for families across the UK, spanning a range of budgets and briefs from converted agricultural buildings to coastal retreats. Each house is unique, tailored to the needs of its inhabitants and designed to maximise the potential of the site. We have extensive experience in delivering a diverse range of high quality commercial projects from bespoke boutique hotels on remote islands to modular halls of residence on tight urban sites. We offer expertise in innovative design solutions and our approach ensures long term value with careful consideration given to environmental performance, the specification of robust, sustainable materials and the use of modern methods of construction. We believe that a successful housing development must sensitively balance two factors: the community and the individual. Housing must work as part of the wider world, by offering both a positive contribution, and a sensitive response, to the existing local settlement and community. We understand the commercial concerns and priorities of developers and can gauge where each design needs to work hardest, whilst consistently creating value through quality. 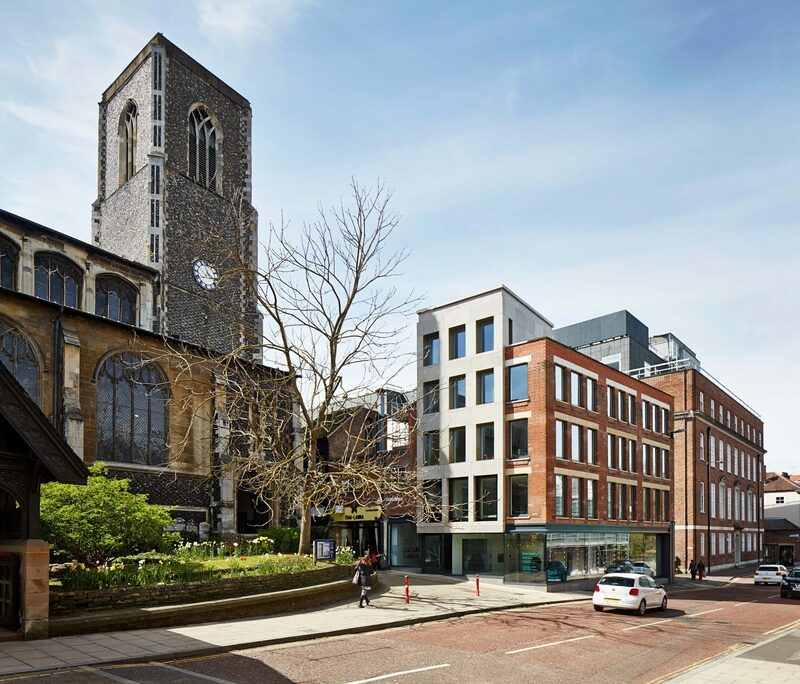 Heritage buildings are a societal asset which we have been entrusted to look after, and we seek to honour each and every building with a sensitive and progressive design approach. We work with the individual sensitivities of a building’s history and setting to restore, preserve and celebrate the most significant aspects of its historic fabric. We offer design solutions that provide adaptable new uses for modern life, ensuring a long-term sustainable future for our heritage assets and the opportunity for further generations to inhabit and enjoy them. View more of our projects on our website. To enable us to consistently deliver the highest standards of design and quality, we seek the most creative and skilled individuals to join our team. In return, we offer a competitive salary and benefits package, a continuous programme of training and development opportunities, and a series of team initiatives that actively support and promote workplace wellbeing. We are committed to investing in the development of our people to ensure our staff remain engaged, inspired, happy and healthy and we pride ourselves on a supportive studio culture enabling individuals to thrive. Our practice continues to grow, and we want to hear from talented, ambitious people who would like to join us. If you would like to know more about the work we do or how you can get involved then please visit our website and follow us here on icanbea... for the latest opportunities.